Observation - Slug - UK and Ireland. 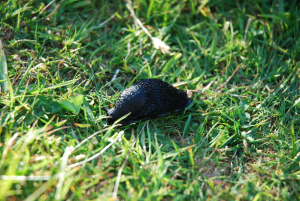 Description: A big fat, shiny black slug. A big fat, shiny black slug.